This recycled Tarmac Planing is ideal for farm tracks, and car parks. It can be used to prepare driveways as well. Tarmac Planings are produced when a tarmac road is planedâleveled and smoothed to make it safer for travel. The tarmac residue is then recycled, helping the environment and creating an economical paving material. Tarmac is a mixture of tar and stones widely used to pave roads and car parks (parking lots). Since the 1990s, using recycled tarmac has become increasingly popular among environmentally conscious consumers and road planning departments. Initially, many road construction experts were somewhat skeptical of any recycled materials, but various experiments were conducted with the material and it was found that crushing the tarmac residue makes it easy and reliable to use. Recycling tarmac is good for the environment in many ways. The previously used tarmac is put to a useful purpose, rather than taking up space in a landfill. By reusing tarmac, the need to mine additional aggregates is reduced and consequently the need for extra energy to accomplish such mining is also reduced. Pollution from processing new materials is also reduced by recycling. In short, recycled Tarmac Planings are a win-win solution to your paving needs. Recycled tarmac is durable and able to resist high traffic, making it perfect for both public and domestic use. Recycled Tarmac Planings are available for only a fraction of what similar recycled products sell for. Greenvaleâs Tarmac Planings are crushed making them easy to use. Preparation is the key to successfully installing a driveway using tarmac planings for the foundation. Mark your proposed area with paint from a rolling paint marker or with traditional stakes and string. Dig the area down and spread the Tarmac Planings 150mm thick. Compact it down with a plate compactor. If using fresh tarmac as the surface, it should be installed in two 25 mm layers. Roll each layer with a heavy-duty construction roller. Allow your new driveway adequate time to cure before walking or driving on it. 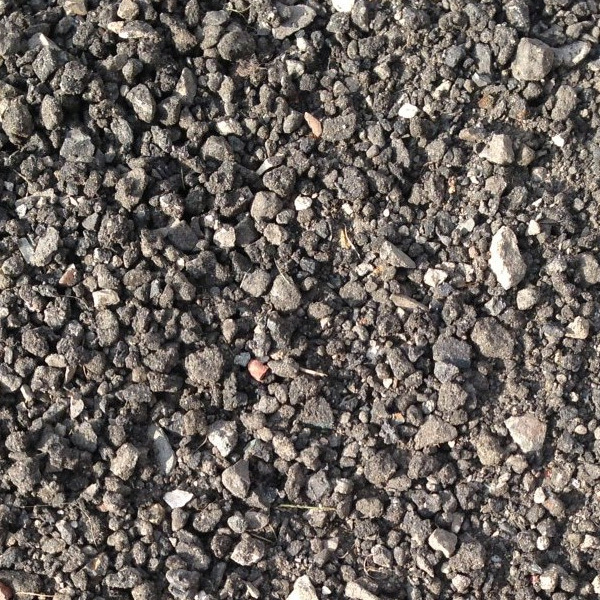 Tarmac Planings from Greenvale are available in tonne bags and in bulk. Bulk buying is convenient for large projects.